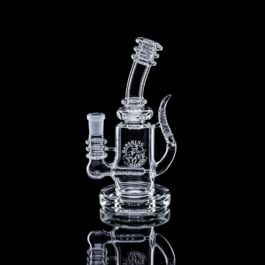 A Dropdown is a real multifunctional tool for the dabbing community. 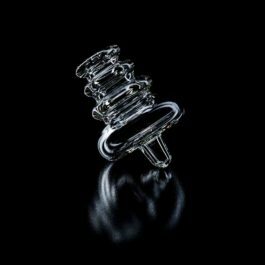 By adding distance between your Dab Rig and the nail it helps to prevent heat stress to your glass piece and ensures you can see better what is going on in your Nail, Banger etc. 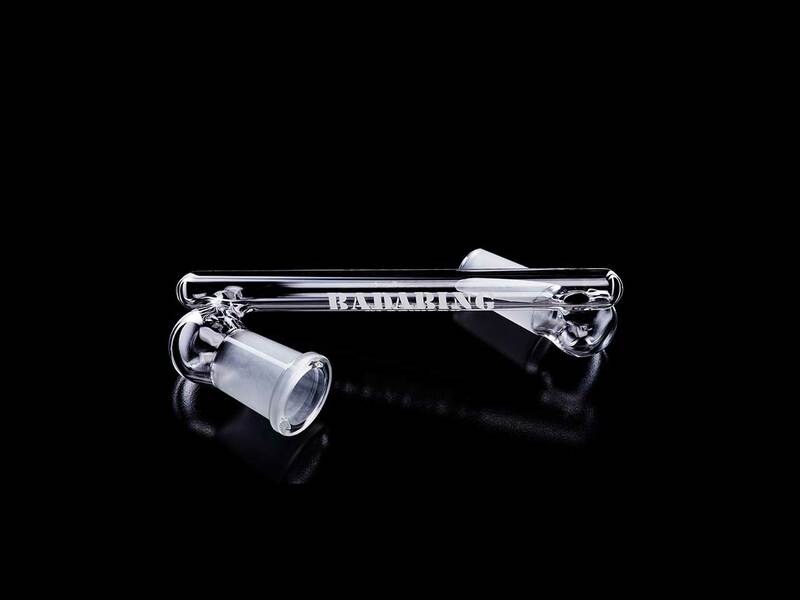 Last not least Dropdowns help you keep your piece cleaner as they function as a natural reclaim catcher. 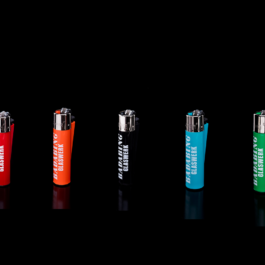 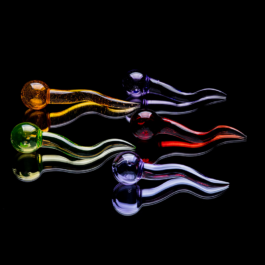 They are easy to clean and help you collect your reclaim for further use. 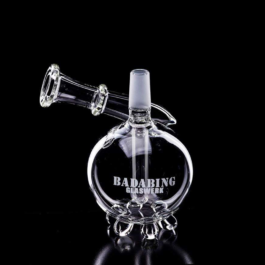 Combination of Dabber and Directional Airflow CarbCap in a unique BadaBing Glaswerk style!